Year 2010 – SRK became the brand ambassador for Nerolac 2006 – GNPL got named as Kansai Nerolac From 2004-2006, The Lote and Jainpur factories were awarded Greentech Safety Award Gold and Silver respectively. These plants were also awarded OHSAS18001 certification Mr. Amitabh Bachchan was signed as brand ambassador to focus on brand Nerolac. Initiatives taken to help underprivileged children in association with Akanksha Foundation. In 1983 Nerolac launched GNP101 Auto paints in Bombay and Pune. It was launched in a range of 24 basic shades, 12 shades in metallic range and 12 shades in the vibrant range. 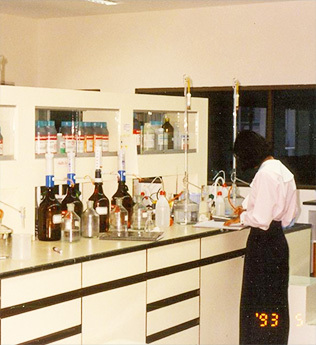 GNPL signed a TAA with Kansai Paints Co. Ltd., of Japan in Osaka in 1986 for the manufacture of Cathodic Electrodeposition Primer and other sophisticated coatings for the automotive products. GNPL was the first company to introduce this technology in India. In 1970, Goody, the smiling tiger was launched as the company’s mascot. 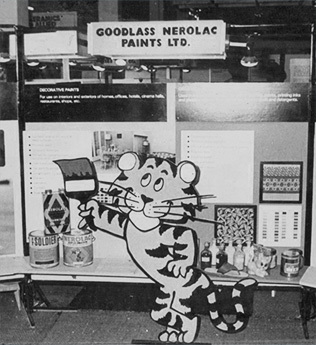 In 1957, the name of the company was changed to Goodlass Nerolac Paints Pvt Ltd. This was done because it was thought appropriate to include the brand name of company’s most successful product in to the Company’s name. In 1968, the company went public and the word “Private” was dropped. 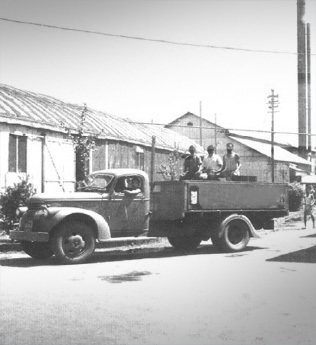 In 1950’s, the company’s star product was the Anti-Gas varnish, mainly used in Defense. November 1930 in UK, three British companies merged to form Goodlass Wall and Lead Industries Group Ltd. 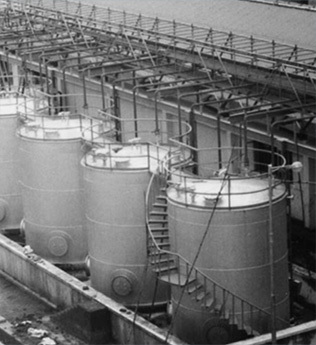 It subsequently became Lead Industries Group (LIG) Ltd. In April 1933, LIG, Liverpool, England acquired the company and named it Goodlass Wall (India) Ltd. The American Paint and Varnish Company was bought by an English concern, Allen Bros. and Co. Ltd. in the early 1920s and became the Gahagan Paint and Varnish Co Ltd. 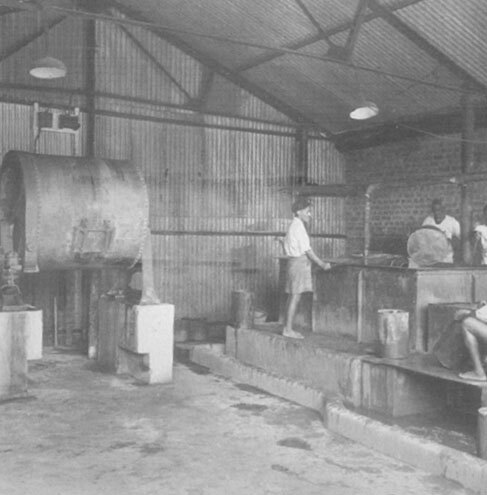 In 1920, Gahagan Paints and Varnish came into being at Lower Parel in Mumbai. A century later, this paint company continues to be in an enviable position- that of being the second largest paint company in India and one of the most trusted names in the industry. So what does it take to go from being a relatively small paint company to being a heavyweight like Kansai Nerolac? It takes hard work and passion. It takes commitment and courage. 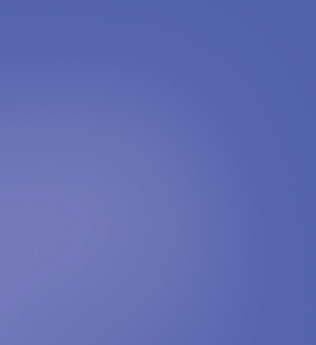 It means marching ahead with fearless innovation. It involves taking risks and celebrating when they work. And going back to the drawing board when they do not. It means being keenly attuned to the needs of the customer. And still being invested in the environment. It requires investing in R and D, in technology, in your workforce. More importantly, it requires the unwavering belief in the product and resolute determination. It is because of all this and more, that Kansai Nerolac is the second largest coating company in India and a market leader in Industrial Coatings.